US undermines Israeli agreement with Azerbaijan? -- I am not going to try and explain what's going on here. This kind of a breach of security around an ally's military operations is indeed unprecedented. Can we take hope in a possible breakdown of the U.S./Israeli war machine? I think that's too optimistic. The safest (and eminently justifiable) position to take is that U.S. and Israeli foreign and military policy is in serious disarray. In the meantime we watch the progress of the U.S.S. Enterprise, which should be passing the Suez Canal soon, en route to the Arabian Sea where it will stage before heading for Hormuz. These tensions are unbearably nerve wracking for the whole world. It's not possible or healthy to put race horses in the starting gate, ready to run, and leave them there for long. The tensions being placed on both nation states and souls are painful and draining, like fingernails on a chalkboard." Israel is developing a 'secret staging ground' in Azerbaijan for a possible attack on Iran, reports Foreign Policy magazine. US officials aren't happy with that, and may have leaked the story. The three-way tension between the United States, Israel, and Iran became tenser this week with a widely cited report that Israel is developing a “secret staging ground” in Iran’s neighbor to the north – Azerbaijan – for a possible attack on Iran’s nuclear facilities. "The Israelis have bought an airfield," a senior administration official is quoted as saying, "and the airfield is called Azerbaijan." Why would US officials be talking about this? Likely to slow down any rush to war in an already volatile region, some speculate. "I think this leak today is part of the administration's campaign against an Israeli attack," former US diplomat John Bolton said Thursday on Fox News. The challenge for Israel in planning such a strike is the long distance to potential targets – some 2,000 miles round-trip – for its F-15 and F-16 fighters. Planning for such strikes always involves tradeoffs between fuel and bombs. Bases in nearby Azerbaijan (including abandoned former Soviet airfields) could be used for landing and refueling after any strike, allowing Israeli jets to carry more ordnance. Such airfields also could be a staging point for search-and-rescue helicopters that might be necessary to recover downed Israeli pilots. They also could be used to launch drone aircraft for bomb damage assessment once any strike is concluded. Israel and Azerbaijan have developed an economic military relationship over the years. Israel buys oil from Azerbaijan, and Azerbaijan recently agreed to buy $1.6 billion in military hardware from Israel, including drones, antiaircraft, and missile-defense systems. Teheran has accused Azerbaijan of working with Israel's spy services suspected of assassinating Iranian nuclear scientists, and individuals accused of plotting terrorist attacks with Iran have been arrested in Azerbaijan. For their part, officials in Azerbaijan deny granting aircraft landing rights to Israel combat aircraft. "This information is absurd and groundless," defense ministry spokesman Teymur Abdullayev told Agence France Presse (AFP). "We have stated on numerous occasions and we reiterate that there will be no actions against Iran … from the territory of Azerbaijan," presidential official Ali Hasanov told journalists in Baku, AFP reported. So far, there’s been no official comment on the Foreign Policy article by Israeli officials, who may be just as happy to increase the psychological pressure on Iran. 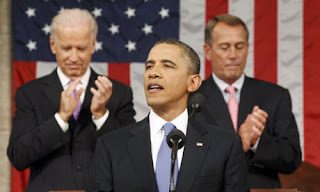 Early this month, President Obama made clear his position on Iran’s nuclear potential, both in meetings with Israel's Prime Minister Benjamin Netanyahu and in his speech to the American Israel Public Affairs Committee (AIPAC), the prominent pro-Israel lobbying organization. “I will take no options off the table, and I mean what I say," Obama said, adding for dramatic effect, “There should not be a shred of doubt by now: when the chips are down, I have Israel’s back." Still, the US continues to act as a diplomatic brake of sorts on any rush by Israel to attack Iran. Which may be why John Bolton – a noted hawk who served as UN ambassador in the most recent Bush administration – could be right when he says that administration officials leaked their concerns about any basing agreement between Israel and Azerbaijan. "We're watching what Iran does closely," one of the US intelligence sources was quoted as saying in the Foreign Policy article. "But we're now watching what Israel is doing in Azerbaijan. And we're not happy about it." 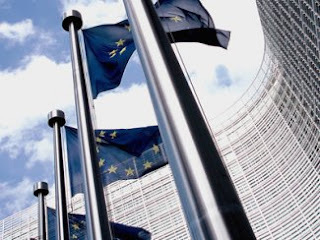 The euro zone raised the combined lending ceiling for their two bailout funds to 700 billion euros on Friday from 500 billion, euro zone finance ministers said in a statement. The 700 billion will come from 500 billion euros of the permanent bailout fund, the European Stability Mechanism, and the 200 billion euros committed under existing bailout programs for Greece, Ireland and Portugal by the temporary European Financial Stability Facility (EFSF) fund. "The current overall ceiling for ESM/EFSF lending ... will be raised to 700 billion euros," said the statement, distributed after talks of finance ministers in Copenhagen. "All together, the euro area is mobilizing an overall firewall of approximately 800 billion euros, more than 1 trillion dollars," the statement said. Austrian Finance Minister Maria Fekter said earlier the 17-nation currency area would combine two rescue funds for a year to make more money available in case of emergency. She put the total figure at some 800 billion euros, but that appeared to include money already spent to conjure up a more impressive headline number for investors. "Obviously markets will only have confidence in us if we agree on a strong rescue fund," Belgian Finance Minister Steve Vanackere told reporters. "We can't consider that the crisis is over. We must find a good middle way between those who seek a (maximum) firewall and those who want it kept to a minimum." Fekter said the residual 240 billion euros from the EFSF would be used as a reserve buffer while the two funds run in parallel and the ESM's capital is being built up. Bond market players questioned whether the likely compromise would provide sufficient money to help Spain, the euro zone's number four economy, if it needs a bailout to overcome a banking crisis due to the collapse of a real estate bubble. "At the end of the day the key question is whether this new firepower is enough," said Steve Barrow, head of G10 strategy at Standard Bank in London. "Clearly if things turn down again, and especially if more bailouts are needed, the tricky issue of underfunding the ESM/EFSF relative to the potential bailout need is bound to resurface." Today Egon von Greyerz told King World News that statements from European leaders claiming the crisis is “ebbing” and “almost over” are completely false. The country's economy is likely worse off than previously thought. It's only Portugal, true, but the trend is ominous for all the eurozone countries trying to meet austerity budget deficit targets in 2012. Thursday, the Bank of Portugal cut its forecast for the country's economic growth to a 3.4% drop in gross domestic product in 2012 from the central bank's January forecast of a 3.1% decline. 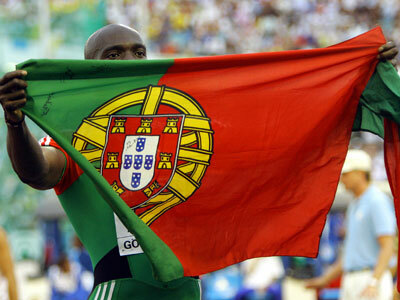 The Portuguese economy contracted by 1.6% in 2011. The central bank also cut its already barely positive forecast for 2013 from growth of 0.3% to a projection of zero growth for next year. The Bank of Portugal now forecasts that investment will drop by 12% in 2012 and price consumption will fall by 7.3%. Exports will climb a forecast 2.7% in 2012. Like Greece and Ireland, Portugal needed a bailout -- $104 billion -- from the European Union, the European Central Bank, and the International Monetary Fund as its borrowing costs soared and the country found itself shut out of the international bond markets. That bailout was predicated on an austerity plan of budget cuts and tax increases that would bring the country's deficit under control and allow Portugal to return to the financial markets in 2013. In 2011, Portugal narrowed its budget deficit to 4% of GDP from 9.8% in 2010, but it got big help from a one-time transfer of pension funds from the banks to the national government. The government is still projecting that Portugal's budget deficit will come in at 4.5% in 2012 before falling to 3% -- the eurozone's ceiling for budget deficits -- in 2013. Hard to see how those estimates won't go up with the new and lower growth forecasts from the central bank. Combine this with news Wednesday that Standard & Poor's thinks Greece will "probably" have to restructure its debt again, and you can see why worry about the euro debt crisis is on an upswing. Moritz Karamer, head of sovereign debt ratings at S&P, said a restructuring would be "down the road, I'm not predicting today when." In a vastly reassuring speech at the same event at the London School of Economics the head of the International Monetary Fund's mission to Greece said it would take at least a decade to fully complete a Greek restructuring. European finance ministers begin a two-day meeting tomorrow with increasing the cap for the eurozone bailout fund on the top of the agenda. The deal on the table involves a temporary increase in the cap to 2013, but certainly not an increase in government commitments of the magnitude that the International Monetary Fund has been seeking. It will be interesting to see if the IMF -- and the financial markets -- buy into this latest slight of hand. A "humanitarian crisis" is unfolding in an impoverished Greek city where a deepening economic crisis has left thousands seeking food from an international charity more used to helping refugees and bringing aid to famine or disaster zones. Once home to a thriving shipbuilding industry, the port city of Perama near Athens has seen its fortunes wane over the years as buyers abandoned it for cheaper options outside Greece. The country's financial crisis is the latest blow - pushing up unemployment in the area to 60 percent, triple the national average. Without health insurance or money for fees at state facilities, many of the town's 25,000 residents have begun flocking to a free clinic set up by Doctors of the World seeking medical care and, lately, staples like milk and bread. The clinic was set up two years ago to treat poor immigrants. Instead, it now finds that 80 percent of its patients are Greeks struggling to get by. Doctors say many of them cannot even afford the bus fare to the local hospital. "We tell a lot of people that come here: 'Your child needs to go the hospital, we can't treat the problem here,' and they tell us: 'I don't have the 1.40 euros to take the bus and go to the hospital,'" said Liana Maili, a paediatrician at the clinic. A large chunk of the town's residents live on less than 200 euros ($270) a month, the agency says. "There are some families that have not had electricity for five, eight months, who spent the winter burning pieces of wood to keep warm and whose children eat from the garbage." Lately, the clinic has been overwhelmed with vaccination requests for Greek children whose parents cannot afford booster shots - something the agency has only ever seen in the developing world, said Nikitas Kanakis, head of the agency's Greek arm. "We will need the help of other organizations as we are in a humanitarian crisis," he said. Greece is struggling through a debilitating debt crisis that has forced it to accept financial aid to keep afloat. The aid comes at the price of painful wage and spending cuts that have helped push the country into its fifth year of recession. 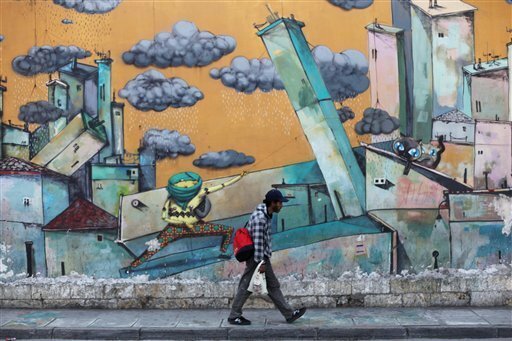 Most Greeks have felt the pain of salary and pension cuts and higher taxes, with towns like Perama showing the extremes of a crisis that social workers say has punished the weakest sections of society. In the clinic's small waiting room, patients outnumber the available seats as they wait to be seen by a doctor or pick up a free meal box of beans, olive oil, pasta and condensed milk. Unable to find a steady job for five years, Antonis Giatras relies on the clinic to feed his family of five. He recalls once being forced to live in his car and in a cemetery for months when he was homeless with a pregnant wife. "There are some days when we have no bread, or food," said the 50-year-old Giatras. "My young daughter who goes to school is forced to go some days without taking any food with her." In a one-room shack with a ceiling damaged by water and held together with bits of rope and wood, 36-year-old Spiridoula Firlemi lives in fear her electricity will be cut off because she cannot pay back power bills of 1,250 euros. "They'll cut it off. We'll see, maybe I'll get electricity from a neighbor," said Firlemi, who has a 45-day-old baby. As Athens News reports, since Thursday the police have launched 24-hour foot patrols on the streets of inner-Athens, seeking to detain immigrants subject to deportation. 21 undocumented street vendors outside the premises of Athens University Law School and the Athens University of Economics and Business and 26 illegal immigrants housed in a building on central Marni Street have been arrested up until now. More police force is bound to be transferred from office duties to street and motorcycle patrols to enhance the “sweeping” of the troubled Greek capital. The move is part of a general project that aims to have created 35 detention centers with the ability to host 30,000 illegal immigrants by 2014. Greek authorities claim that this way will re-boost Greek economy by opening thousands of local jobs and by decreasing inner-city crime. "Illegal immigrants should return home," are the words of Michalis Chrysochoidis, Citizen Protection Minister, in an interview he gave on Skai radio station. Chrysochoidis also characterizes illegal immigrations as "a disgrace to the political system" and expresses his concern that if Greece does not implement Schengen measures, it may be forced to leave Schengen, as Nicolas Sarkozy has threatened. However, internal conflicts are expected to be on the rise in Greece as none of the selected 'host-cities' give their consent to the proposal, viewing it rather as a menace to their well-being . In this sense, Kostas Agorastos, the regional governor of Thessaly, one of the areas selected to accommodate immigrants before their deportation, openly raises his objection to this plan. "We are against this proposal, the public doesn't want it and the local authorities don't want it," Agorastos says. It should be stressed that Greek authorities have invited television crews to attend the event. Petrol crisis a tipping-point for the UK? UK petrol crisis to hit US? The UK petrol crisis mismanagement is in danger of tipping the country into a double-dip recession. UK prime-minister David Cameron called on the United Labor Union and employers to hold talks on preventing a strike by fuel-truck drivers, but has still placed the Army on stand by should such action take place. The strike would immidiately skyrocket fuel prices further damaging UK's fragile economy and causing a ripple effect to neighboring European countries, which would eventually make way to the US. RT's Ivor Bennet has more on the growing panic in UK. THE economy's ability to reap the full benefits of the once in a generation resources boom is in jeopardy, with major projects facing a funding gap as more foreign banks leave the Australian market and local lenders struggle with ongoing turmoil in financial markets. There are fears that a funding gap will exacerbate the "hollow nation" notion that Australia is not capitalising on the boom. "The forecast number and size of developments being contemplated across the infrastructure, natural resources and gas sectors is unprecedented. The capacity of the private sector to meet the debt requirements for these expected volumes is limited," CBA says. National Australia Bank's group executive of wholesale banking, Rick Sawers, said there was a risk that funding to the resources sector could become constrained, which would ultimately hold back the sector's growth. "As project capital costs have increased, particularly in the infrastructure and natural resources sectors, maximum individual bank exposure amounts are being tested," Mr Sawers said. He said "additional sources of capital" were required. The recent $3 billion senior debt financing of the Wiggins Island Coal Export Terminal was backed by four overseas wealth funds, which pumped $780 million into the project -- the same level of capital as the Australian bank lenders. Westpac warned that the major Australian banks were already facing "considerable pressure" because of large resource-related projects and the ongoing squeeze in global financial markets, while other funding sources "cannot meet the demand for funding created by the historically strong project pipeline in Australia at present". "Australia currently faces a situation in which a huge project pipeline related to a once in a generation resources boom has intersected with substantial dislocation in capital markets." ANZ said an estimated $109bn in debt would be needed to finance projects this year and Germany's Deutsche Bank said the impact of the global financial crisis was still being felt four years on as banks were forced to restrict their lending. The funding gap has been worsened by European banks, particularly French institutions, retreating from the local market over the past year. According to Reserve Bank estimates, international banks held $240bn worth of Australian corporate loans before the global financial crisis, but that has now fallen by at least 14 per cent. The banks' warnings are contained in new submissions to Julia Gillard's chief micro-economic adviser in a bid to convince it to reverse a recommendation that EFIC be cut back. The Productivity Commission has accused EFIC, the government's export credit agency, of handing out damaging subsidies to big exporters. Kurdistan, Azerbaijan, subs in the Gulf: the Israeli military encirclement of Iran – prelude? 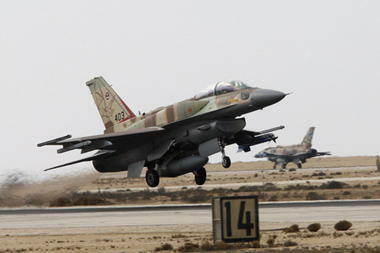 March 30, 2012 – ISRAEL - Last week, it was announced by Info Live that the Israelis were using military bases in Kurdistan to launch surveillance flights into Iran. Now, the three-way tension between the United States, Israel, and Iran became tenser this week with a widely cited report that Israel is developing a “secret staging ground” in Iran’s neighbor to the north – Azerbaijan – for a possible attack on Iran’s nuclear facilities. Why would US officials be talking about this? Likely to slow down any rush to war in an already volatile region, some speculate. “I think this leak today is part of the administration’s campaign against an Israeli attack,” former US diplomat John Bolton said Thursday on Fox News. The challenge for Israel in planning such a strike is the long distance to potential targets – some 2,000 miles round-trip – for its F-15 and F-16 fighters. Planning for such strikes always involves tradeoffs between fuel and bombs. Bases in nearby Azerbaijan (including abandoned former Soviet airfields) could be used for landing and refueling after any strike, allowing Israeli jets to carry more ordnance. Such airfields also could be a staging point for search-and-rescue helicopters that might be necessary to recover downed Israeli pilots. They also could be used to launch drone aircraft for bomb damage assessment once any strike is concluded. Israel and Azerbaijan have developed an economic military relationship over the years. 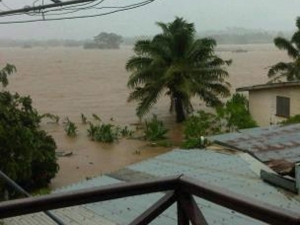 Yet MORE devastating floods for Fiji! A severe flood warning remains in force in Fiji with hundreds forced to evacuate their homes, roads closed and flights cancelled. Reports this morning suggest the flood waters are receding in most parts in the west of the main island, Viti Levu, which have been worst affected by the heavy rain. Rakiraki, Sigatoka and Nadi were said to be under water after rivers burst their banks, and authorities said a large number of people were stranded on their roofs by the intense flooding. Twenty five people were rescued from Nadi last night and Fijivillage.com said a total of 1843 people were taking shelter in the 59 evacuation centres set up to cope with the storm. Most flights in and out of Nadi Airport have been cancelled today. The heavy rain was caused by a shallow tropical depression located west-southwest of Nadi and is expected to last until tomorrow. One year after the earthquake in Christchurch there is a desperate shortage of housing. CRAMMED IN: This Somalian family of 11 people are all living together in a four-bedroomed house in Shirley. A family of 11 are living in a four-bedroomed state house in Shirley, as Christchurch's rental housing drought continues to bite. Three are sleeping on the floor. There is only one bathroom, and they take shifts watching television in the lounge. 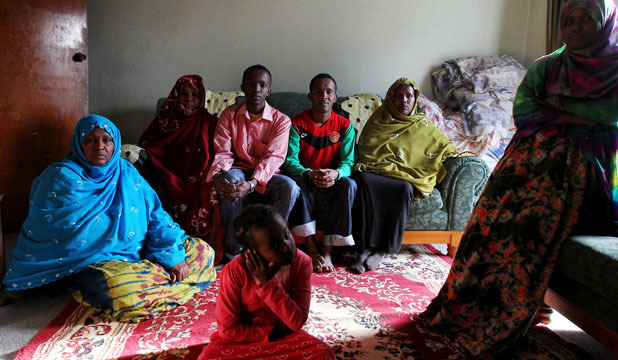 The extended family of Somali refugees say they are living in Third World conditions. Because of limited hot water supplies, the only shower in the house has a roster. The kitchen transforms to a "restaurant" at dinner time, the one washing machine is also rostered and scores of shoes crowd the front door. "In some parts of the world people are living in Third World conditions, but it is not acceptable in New Zealand," resident Naema Warsame, 33, said. The single mother of one fled her violent homeland in 1995 and sought refuge in Christchurch six years later. She was living in the small Shirley house with her aunt, her four cousins and her 6-year-old daughter while she waited for her own family to arrive through New Zealand's annual refugee quota system. It took five years for her mother, her two brothers and her cousin to be accepted into the country. Her family arrived in Christchurch five weeks ago, but the long-awaited reunion was hit by the city's rental crisis. Warsame, who has New Zealand citizenship, started looking for a home for her family before they arrived but says she was met with hostile landlords. Over the phone, two landlords told her: "We don't rent to Somalis". She said she has looked at more than 10 houses but has always been turned down. "There has always been prejudice here, but the shortage of houses from the earthquake and the recent knife attacks have made everything even worse," her cousin, Sahra Ahmed, said. "People are struggling and it has brought out the worst in them." When refugees come into New Zealand through the quota system, Housing New Zealand and Refugee Services are responsible for finding them appropriate accommodation. A Housing New Zealand spokeswoman said the agency told Refugee Services Warsame's family could not be housed in Christchurch "because we had no vacant homes". She said the new arrivals moved into the Shirley state house without the permission of Housing New Zealand. Chief executive of Refugee Services, Heather Hayden, said the family was not living in an "acceptable situation", but the agency was doing what they could to help. Only refugees with "strong long-term family links" are now placed in quake-hit Christchurch. Three families came into the city from this year's quota and Hayden said "this is the only situation where there has been a problem finding a house." Hayden said Warsame's family had turned down three houses in Christchurch because the family thought they were in the wrong suburb or too damp. It looks as if someone is lying, or misinformed – take your pick! President Barack Obama vowed on Friday to forge ahead with tough sanctions on Iran, saying there was enough oil in the world market - including emergency stockpiles - to allow countries to cut Iranian imports. In his decision, required by a sanctions law he signed in December, Obama said increased production by some countries as well as "the existence of strategic reserves" helped him come to the conclusion that sanctions can advance. "I will closely monitor this situation to assure that the market can continue to accommodate a reduction in purchases of petroleum and petroleum products from Iran," he said in a statement. Obama had been expected to press on with the sanctions to pressure Iran to curb its nuclear program, which the West suspects is a cover to develop atomic weapons but which Iran says is purely civilian. The overt mention of government-controlled stockpiles may further stoke speculation that major consumer nations are preparing to tap their emergency stores later this year. Oil markets remain tight, the White House said. Surging gasoline prices have become a major issue in the presidential election campaign. "A series of production disruptions in South Sudan, Syria, Yemen, Nigeria, and the North Sea have removed oil from the market," the White House said in a statement. France is in talks with the United States and Britain on a possible release of strategic oil stocks to push fuel prices lower, French ministers said on Wednesday. Senior Obama administration officials told reporters that the United States views releasing emergency stocks as an option, but said no decision has been made on specific actions. Oil prices briefly rallied by about 70 cents on the announcement, but later reversed gains to end almost flat as traders turned mindful of the possible use of reserves. "There's been a shift from focus on a threat (by Iran) to close the Strait of Hormuz to whether or not reserves are going to be released," said Dominick Caglioti, a broker at Frontier Trading Co. in New York. Obama is required by law to determine by March 30, and every six months after that, whether the price and supply of non-Iranian oil are sufficient to allow consumers to "significantly" cut their purchases from Iran. The law allows Obama, after June 28, to sanction foreign banks that carry out oil-related transactions with Iran's central bank and effectively cut them off from the U.S. financial system. "Today, we put on notice all nations that continue to import petroleum or petroleum products from Iran that they have three months to significantly reduce those purchases or risk the imposition of severe sanctions on their financial institutions," said Senator Robert Menendez, co-author of the sanctions law. Obama can offer exemptions to countries that show they have "significantly" cut their purchases from Iran. Washington recently exempted Japan and 10 EU countries from the sanctions because they have cut Iranian oil purchases. A senior administration official told reporters that talks continue with China, India, South Korea and other importers of Iranian oil to reduce their shipments. Obama faces a delicate balancing act on Iran, leading up to November U.S. elections. On the one hand, he must show voters he is being tough on the Islamic state. But with oil and gasoline prices surging in response to geopolitical risks, he must also avoid steps that would unduly rattle oil markets. That could threaten the global economy and hurt voters already angered by the rising cost of fuel. Obama also faces pressure from some in Congress who want to make sanctions on Iran even tighter. The House of Representatives has already passed additional sanctions, and a bill is pending in the Senate. "We welcome the president's determination and applaud the administration's faithful implementation of the Menendez-Kirk amendment," said a spokesman for Senator Mark Kirk, a Republican who has pushed for additional measures. "To build on this momentum, we hope the Senate will consider amendments to the pending Iran sanctions bill that would continue to increase the economic pressure on the Iranian regime," Kirk's spokesman said. Senior administration officials briefing reporters declined comment on the proposed new sanctions. A group political activists and journalists has launched a legal challenge to stop an American law they say allows the US military to arrest civilians anywhere in the world and detain them without trial as accused supporters of terrorism. The seven figures, who include ex-New York Times reporter Chris Hedges, professor Noam Chomsky and Icelandic politician and WikiLeaks campaigner Birgitta Jonsdottir, testified to a Manhattan judge that the law – dubbed the NDAA or Homeland Battlefield Bill – would cripple free speech around the world. They said that various provisions written into the National Defense Authorization Bill, which was signed by President Barack Obama at the end of 2011, effectively broadened the definition of "supporter of terrorism" to include peaceful activists, authors, academics and even journalists interviewing members of radical groups. Controversy centres on the loose definition of key words in the bill, in particular who might be "associated forces" of the law's named terrorist groups al-Qaida and the Taliban and what "substantial support" to those groups might get defined as. Whereas White House officials have denied the wording extends any sort of blanket coverage to civilians, rather than active enemy combatants, or actions involved in free speech, some civil rights experts have said the lack of precise definition leaves it open to massive potential abuse. Hedges, who is a Pulitzer Prize-winner and longtime writer on the Middle East, told New York judge Katherine Forrest on Thursday that he feared he might be subject to arrest under the terms of NDAA if interviewing or meeting Islamic radicals could constitute giving them "substantial support" under the terms of the law. "I could be detained by the US military, held in a military facility – including offshore – denied due process and incarcerated until 'the end of hostilities' whenever that is," Hedges said. He added that the law was already impacting his ability to work as he feared speaking to or meeting with sources who the US government could see as terrorists or advocates of violence. "Any kind of language in my presence that countenances violence against the US … given the passage of the NDAA, really terrifies me," he said. Testifying alongside Hedges was Kai Wargalla, a German organiser behind Occupy London, and a supporter of WikiLeaks, which has extensively published secret US government documents. 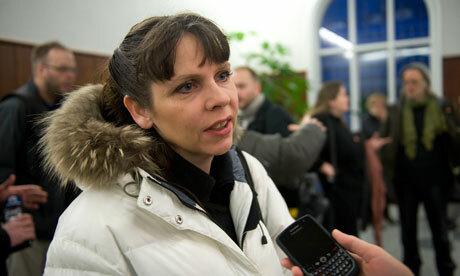 Wargalla said that since British police had included Occupy London alongside al-Qaida on a terrorism warning notice, she was afraid of the implications of NDAA. She said that after NDAA was signed she was no longer willing to invite an Islamic group like Hamas to speak on discussion panels for fear of being implicated a supporter of terrorism. "We are on a terrorism list just under al-Qaida and this is what the section of the NDAA is talking about under 'associated forces'," she said. Author and campaigner Naomi Wolf read testimony in court from Jonsdottir, who has been a prominent supporter of WikiLeaks and a proponent of free speech laws. Jonsdottir's testimony said she was now afraid of arrest and detention because so many US political figures had labelled WikiLeaks as a terrorist group. Despite receiving verbal assurance from US officials that she was not under threat, Jonsdottir testified she would not travel to the US despite being invited to give lectures in the country. "[The NDAA] provisions create a greater sense of fear since now the federal government will have a tool with which to incarcerate me outside of the normal requirements of the criminal law. Because of this change in the legal situation, I am now no longer able to travel to the US for fear of being taken into custody as as having 'substantially supported' groups that are considered as either terrorist groups or their associates," said Jonsdottir in the statement read by Wolf, who is also a Guardian commentator. In an opening argument, lawyers for the plaintiffs argued that they would try to show the definitions used in the NDAA provisions were so unclear that it would have a "chilling" effect on the work of journalists, activists and academics even if no one was actually detained. Lawyers for Obama, and other named defendants in the case like the defence secretary, Leon Panetta, offered no opening statement nor did they currently plan to call any witnesses. However, in cross-examination of Hedges, Wargalla and another witness they repeatedly pointed out that at no stage had the US government ever been shown to have threatened any of them with detention under the terms of the new law. Forrest will now seek to rule on whether any of the plaintiffs have shown enough convincing evidence that they have "standing" to move the case forwards. If that happens she will also then have to rule on a possible temporary injunction against the NDAA, which would undoubtedly trigger a high profile legal battle. Coming collapse in Japanese bond market?